If you know what the six weird things about me are, you'd know that on top on my list would be Chippy and Ice Cream. It still is, and always will be the perfect combo for me. So there goes my comfort food. 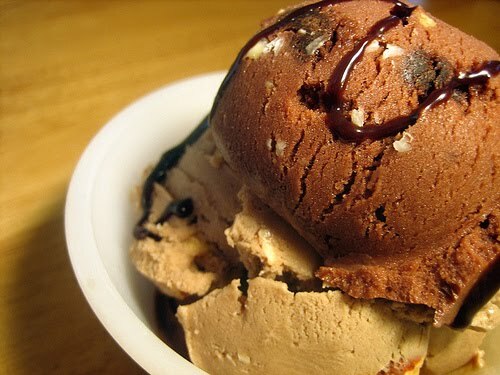 This is also the reason why I'm fat... the saltiness in the chips and the fats and carbohydrates from a PINT of rocky road ice cream all conspired to give me that much needed satisfaction, at the expense of my weight. LOL! It's a luxury for me to eat this though because of the availability of Chippy in German soil but show me a bag and I will readily devour it, with ice cream on the side of course! 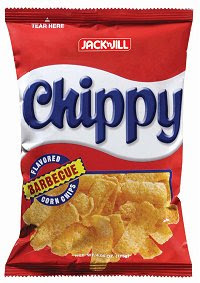 CHIPPY! Maaan, I miss that. I have not had Chippy for the looongest time. Sarap nyan with Coke. Hehe. 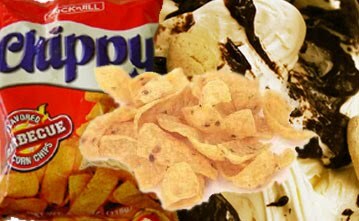 mas lami ang chippy kung daghan mo magkaon. kabantay ka? hehehe. oh yeah the chips I think got here but I no try this one. ay sis same tayo.. sarap icombi ang matamis at salty diba.. ginagawa ko din yan dati, medyo na-lay low lang lately kasi bigla naging concious..
wow, puro pinoy na pagkain to eh...talagang comfort food nga lalo na pag na mi misss mo Pinas. Yayks.... ang sarap .... pang couch potato talaga ito ... hahahah! My first time to join... sounds fun..
naku mahilig din ako sa chippy! i prefer the blue one yung chili cheese, sarap!